Alright I hear you all on the awesome wallet and I too am dying to make it . . . but it seems such an ambitious first project. Dare we try it? I mean 27 pockets!? I’m thinking of posting sewalong items on Fridays. So I’m here to announce what I’ll be working on this week and I’ll be back Friday to do a reveal. If I happen to be bad and have an incomplete project I’ll just write about it anyway! So that said I’m going to cheat a bit and share something I’ve already tackled recently and then propose the next item. I’ll also have to work on a cute little button, and a Flickr group I suppose . . . oh so many things to do. Ok so I loved this fun clutch from I Think Sew. I also own this, this and this so I’m sure those will pop up in this challenge. There are also a bunch of free patterns, I think you get once you sign up, it’s been a while. 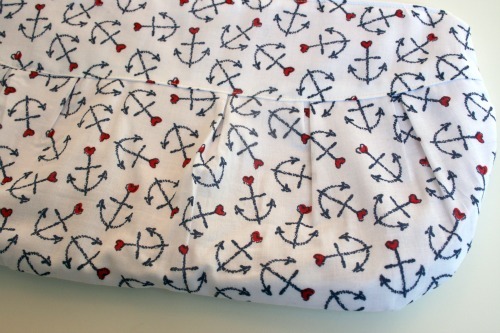 I had this great nautical fabric with little blue anchors and red hearts that I was dying to sew into something. This pattern was great and easy to use. I’m not a pleat expert and it did a good job of explaining how to fold and lay them and I’m happy with the results. It offers options to have a wrist strap or handles which is neat too. I love the finished look with the top panel and then the pleates bottom underneath. 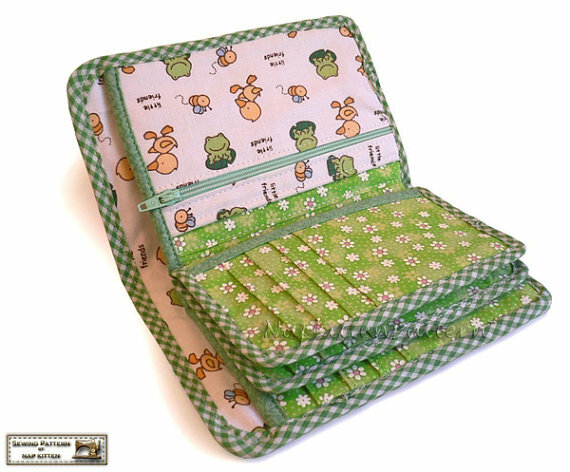 It also comes with the patterns for a large and small clutch. I had one surprise this with pattern, which I suppose would have been avoided if I had stopped to really, really think about it. I made the small clutch because I didn’t want what looked like a giant bag in the photo. But, turns out the ‘small’ is also gigantic! I made it with a wrist strap and there’s no way you could ever walk around with this dangling from your wrist it’s nearly the length of my entire thigh! It would make a great large makeup case, or for your brushes and hair things while travelling. Since I love the fabric I plan on turning it back wrong side out and sewing around a tad smaller to try to scale it down. Some tips before you start: she recommends ‘duck canvas’ to make the wallet sturdy and heavy. At my local fabric store the sales lady suggested just some denim. She said she had tried to make a wallet before and it gets really thick once you’re sewing all the layers together. Since this one is all held with bias tape she suggested a strong needle because we’ll be sewing through so many layers. I picked up some remnant/end of bolt denim for super cheap. I’ve never made bias tape so this will be new for me. There’s also A LOT of cutting involved in this pattern. There is no pattern as all the shapes are rectangles so she just tells you the sizes. She also suggests you cut as you go so as not to get confused by all the pieces. I would say this pattern, just from glancing at it, seems to be for someone pretty familiar with sewing or comfortable taking on a challenge. Ok, I hope someone joins me! Let me know in the comments if you are. 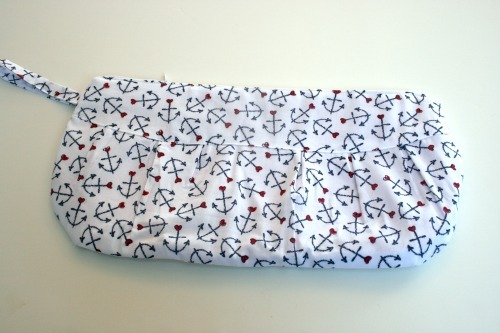 This entry was posted in DIY, sewing, tutorial-ish and tagged clutch, ithinksew, napkitten, nautical, sewalong, sophia clutch, wallet. Bookmark the permalink. 3 Responses to Come sewalong! I’ll join! I think I might just use some interfacing to make it thicker, not sure yet. 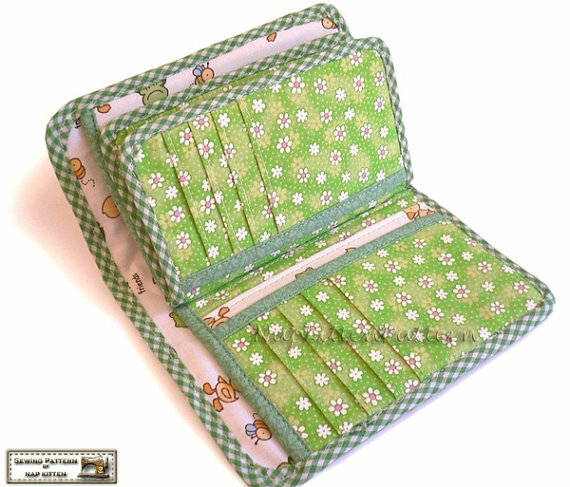 I love this wallet and have made 3 of them so far.. here is one I made for a friends daughter http://www.flickr.com/photos/appleheadthreads/6189993415/in/photostream It did take me abit longer then most wallet projects but people I made them for loved them. I like the feel of them as they remind me of a book..(book lover) I used a thinner canvas, not really duck canvas. I did break a needle!! lol but I tend to sew fast..blah. I had trouble with my trim but that was just me. I don’t like messing with it! lol I think this project is the perfect sew along ! 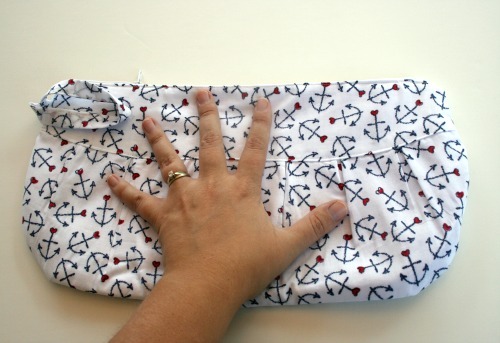 aww, what a cute anchor clutch! ps: check out my blog for some amazing giveaways!! one a day for the next two weeks…there’s already two great ones you can enter on there now!